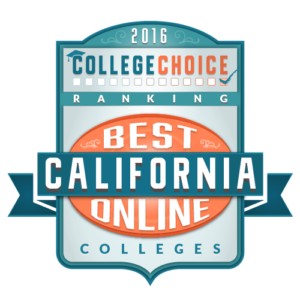 HIU has been recognized as the third best online school in California by CollegeChoice.net, a website that offers numerous free online resources to help students in their college search, including unique student-centered college rankings, admissions advice, scholarship and financial aid information. Hope’s #3 ranking is based upon its array of online courses, Christian ideals, and tailored study programs. HIU offers a dozen degrees at the undergraduate and graduate levels as well as professional certificates and a vast selection of online courses from all departments. Hope provides online tutoring and advising services, access to library resources, and 24/7 online support. As the demand for online schooling grows, Hope International University continues to improve upon its programs to best suit the online student and assist in job placement to ensure alumni a successful future. CollegeChoice.net lists the best online schools in each state as a tool for those who may already have a career and need to complete a degree, have domestic obligations that preclude one from moving to another state, or simply seek to further their education in a non-traditional setting. For the complete list and methodology, click here.